The vast skies, sun-seared rocks and towering mining equipment have inspired some of Australia’s best known artists. 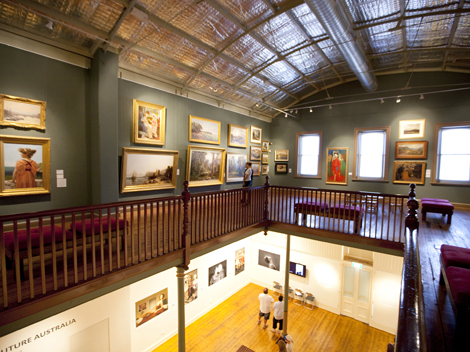 Broken Hill has a large population of working artists and around 30 art galleries including the oldest regional gallery in NSW, the Broken Hill Regional Art Gallery, now located in the fully restored Historic Sully's Building in Argent Street. Some of the most famous Broken Hill artists include Pro Hart, Jack Absalom, Eric Minchin and Badger Bates. 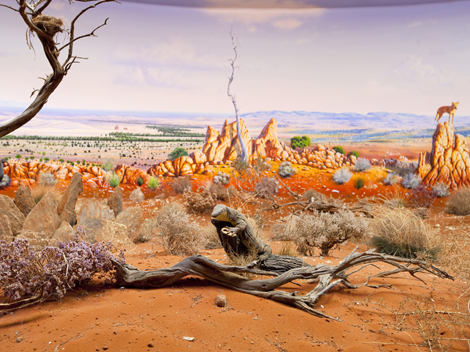 Their artworks can be seen in their galleries located in Broken Hill. The Pro Hart Gallery especially is a must see for any visitor and includes a wide range of paintings and sculptures by this world renowned Artist. Opened to the public in 2001, Ando's 'Big Picture' measures almost 100 metres long by 12 metres high at its highest point! 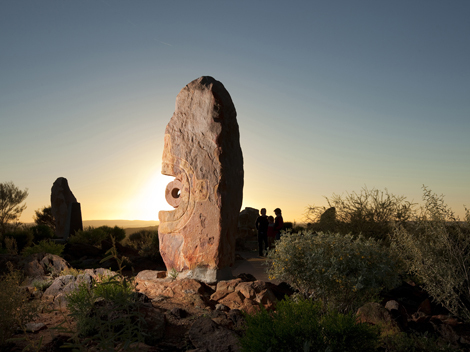 It incorporates 100,000 saltbush, 20,000 trees, 20,000 small stones, 1000 large stones, 3000 clouds, 1500 hills and representations of the 12 sculptures of the Sculptures Symposium located at the Living Desert. It is the World's Largest Acrylic Painting on Canvas by a single artist. Walking into the room, the massive painting encircles the viewer on all sides creating an immersive experience that captures the eyes and mind. Experiencing the Big Picture is a definite must for any visitor to the region. 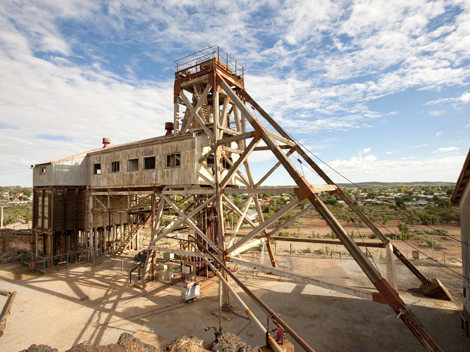 Broken Hill is home to the world’s largest silver, lead and zinc mine originally founded and operated by Broken Hill Proprietary Company Limited (BHP). BHP was established here in 1885 after Charles Rasp and two associates pegged out a mineral lease at a rocky outcrop known as `the broken hill’. The land was found to hold one of the richest sliver-lead-zinc ore bodies ever found. Today many of the historic buildings and head frames remain as a prominent reminder of the vast riches mined from the local area. Many of these structures can be viewed as part of the local Heritage Trail and have detailed historical background and images displayed on information boards at their locations. Several mines still also operate in the area. There are four main lakes in the system, Lake Menindee, Lake Cawndilla, Lake Pamamaroo, and Lake Wetherell created from a series of natural depressions that filled during floods. There are also a large number of smaller lakes and dry lakes spread over a wide area. 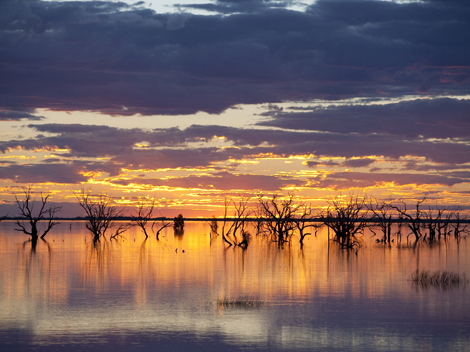 The Menindee Lakes and Darling River were a lifeline for early explorers and it was thought the Darling would provide a means to develop Australia's interior. The flows of the river proved to be unreliable causing difficulties with navigation and water supply and the idea of using the Menindee Lakes to help regulate river flow was born in the late 1890s. Today the lakes and dams create a welcome water haven in the arid Outback landscape as well as a bird-watchers paradise and an excellent spot for fishing. 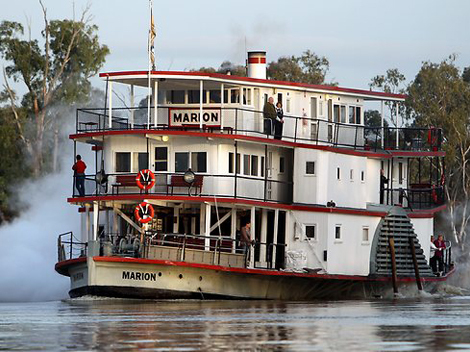 These amazingly restored vessels once ruled the mighty Murray River. They were used as a vital transportation medium before land transport throughout the region became reliable. They transported wool and other agricultural items from stations to ports for sale and distribution. They also carried passengers and supplies for stations all along the river system. In their prime, hundreds of these ships plied the waters ferrying goods and passengers back and forth. Thriving ports sprang up all along the river and many of these are still towns or cities of note today. Wilcannia was once the largest inland port in Australia and its large sandstone historic buildings still stand as a reminder of its prosperity. Another former port city of note within the region is Wentworth. Step back in time with a river cruise aboard one the painstakingly restored paddle-steamers available in the region surrounding Wentworth. There are a good number of museums throughout the region dedicated to showcasing the history and background of the region. 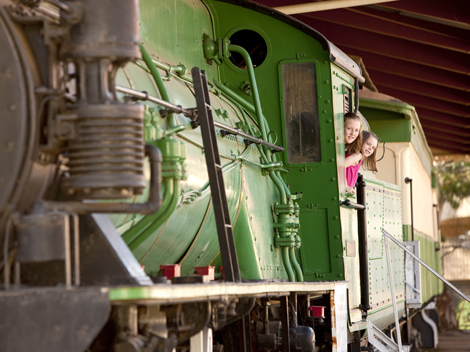 In Broken Hill there are the Railway Museum, Geocentre, Line of Lode and White's Mining Museum to name a few. At Silverton there are also a gaol and a school museum showcasing what life in these facilities was like in the early 1900's. Wentworth also has a goal museum. At the Geocentre in Broken Hill, the rich mining history of the town can be seen in the minerals on display and the information displays throughout the well appointed facility. The railway museum houses a number of vintage and steam trains including the "Silver City Comet" that served the town in the mid 1900's. The Sculptures comprise 12 sandstone artworks which highlight the skyline. Located on a majestic hilltop within the centre of the reserve, the sculptures were completed in 1993 by artists from around the world. The Broken Hill Heritage Trail is a two hour sign posted walking trail past many of Broken Hill's heritage buildings. 'The Silver City', as it is known, has always been associated with the silver, lead and zinc mining. Many of the streets are named after metals, minerals and compounds, or after mine managers, leading citizens and civic leaders. 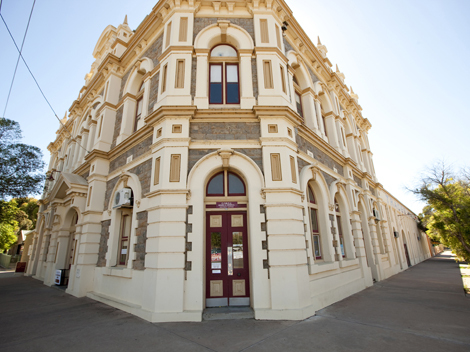 The Heritage Walk is a great way to take in the character of Broken Hill. Be sure to look out for the Post Office, former St Josephs Convent and the Trades Hall, all of which are on the State Heritage Register. There is also a self guided heritage drive around the town that takes in many more of the heritage buildings and landmarks. It is called the Silver Trail Drive. 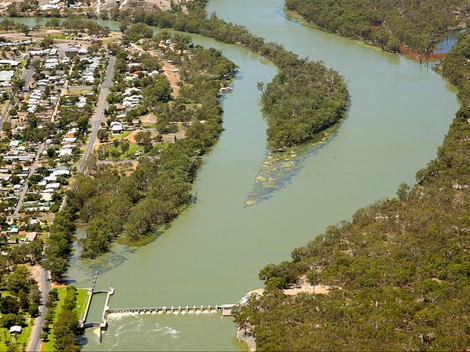 Climb the viewing tower and see the confluence of the Murray and Darling Rivers, which, combined, is the fourth largest river system in the world. When the Darling is in flow, a surprise awaits -as the two rivers are marked by a distinct colour difference viewable from the tower. The Darling is a clay based river, its milky appearance contrasts starkly to that of the mighty Murray. Truly one of Australia's iconic must-see attractions.